Archer is 20 months old. 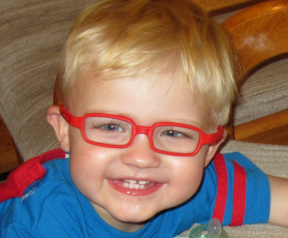 He wears glasses for Accommodative Esotropia. The frames are Miraflex.